Today, I can roll out of bed and with a few clicks on my phone, transfer money from my checking account to my online savings account, purchase a song on iTunes, and make a payment on my power bill. Years ago, each of these discrete activities would have required separate trips to various businesses. At the very least, each activity could not be accomplished online. The shift to a virtual world directly affects our everyday lives and what occurs at our death. With the explosion of social media and increasingly more powerful smartphones, the significance of our online presence is not limited to financial accounts. Social media giants like Twitter and Facebook have adopted deceased user policies. Prior to the Virginia Tech massacre in 2007, Facebook automatically closed down user profiles after death. Students, families, and friends objected to this policy because they wanted to leave tributes and messages on the shooting victims’ profiles. Now, following notice of a deceased user, Facebook allows profiles to be “memorialized,” or changed into tribute pages without certain personal information. Heirs may want to maintain sites or blogs with special sentimental value such as photo sharing sites like Kodak Gallery, Shutterfly, and Flickr. Many blog creators and Twitter users have hundreds if not thousands of followers. With all of the time and effort expended in creating and posting interesting content, the users would not likely want their online presence to vanish immediately upon their passing. Can a surviving spouse access any of the online accounts mentioned above? For years, consumer advocates warned of the pitfalls of keeping a written list of our passwords. 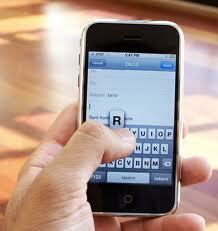 Create strong passwords with numbers, letters, symbols, and capitalized letters! Do not share your passwords with anyone! However, this caution-filled advice can create problems at death. I confronted this dilemma recently when a client sought to bequeath his online gaming account to a designated beneficiary. The client determined it was best if our office kept the login information rather than give the information to the designated trustee. The client confessed that he did not want the trustee to see how much he had expended (lost) on the hobby. For good reason, many of us would not want our loved ones to access our email and other online accounts. Therein lies the dilemma. Several companies offer a potential solution. Three main competitors, AssetLock.net, Legacy Locker, and Deathswitch.com, are online services that allow users the ability to pass on their online assets. The companies give account access to various designated beneficiaries by giving the beneficiaries your passwords and can send final messages to friends. The online companies charge yearly or lifetime fees to act as your digital personal representatives. The conundrum is that these services will require human “verifiers” that the account holder is deceased and the online assets should be distributed. The procedure for obtaining online account access can be even more burdensome if someone is incapacitated. If the incapacitated person has not executed a power of attorney, his or her spouse or family will need a guardian or conservator appointed. This may not suffice as certain financial institutions will require a court order customized to the particular account. All of these predicaments beg the question: What to do? Individuals could give a lawyer or dependable relative all of the online account information. If you are fortunate to have several trustworthy loved ones, you could split up your accounts among a group of different people. The tried-and-true approach of leaving vital, important documents in a home safe or safety-deposit box could work well too. However, ensure that someone can access the safe or deposit box. At the very least, you should maintain a list of your online accounts and the domain names and inform someone where the list is. Even if you have permission to use a spouse or family member’s online accounts during life, legally you may not be able to access their accounts after death. Notify the service provider so that others do not prey upon the account. Such notification will stop online bill pay services and other automated transactions. For those collecting Social Security benefits, loved ones must return any payments received after a recipient passes away. Benefits are often paid through direct deposit which should be stopped by notifying the bank and the Social Security Administration of the recipient’s death. The law is sluggish in maintaining pace with the rapid evolution of online services. Clients and their counsel must be aware of the looming issues before losing Face(book) and turning to Google for solutions. If you have questions or concerns, you should contact an estate planning attorney. This article appears in the December 13 edition of Northern Nevada Business Weekly. Often overlooked during this “year-to-die” without an estate tax, the generation skipping transfer (“GST”) tax lapsed on January 1, 2010. Similar to the estate tax, the GST tax lapse affords some great year-end tax planning opportunities. These opportunities will not last long as the federal estate and GST tax regimes return on January 1, 2011. 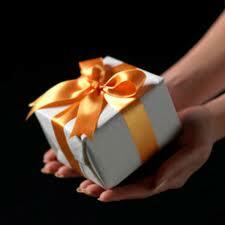 Different from the estate and GST taxes, the gift tax remains in effect in 2010. The $1 million gift tax exemption remains with a 35% tax rate. Without congressional action, the gift tax rate will increase to 55% on January 1, 2011. Individuals may seek to take advantage of the historically-low gift tax rate by making outright gifts to beneficiaries. This simple, straightforward tactic may be advantageous for those looking to take advantage of the lowest gift tax rate seen in 70 years. Another worthwhile consideration is giving assets to grandchildren. This year, grandparents can gift unlimited amounts of assets to grandchildren free from the GST tax. As noted above, the grandparents would still pay gift tax on amounts in excess of the lifetime exemption. If the assets are given outright, instead of held in trust, the assets will be held tax-free until the grandchild’s death. As this year has proven, we cannot anticipate where the GST tax rate will be in future years. As a result, individuals should make outright gifts to grandchildren and pay any gift tax at the lower 35% tax rate on any such gifts, and thereby avoid any future GST tax on such assets. If grandchildren are too young or irresponsible to handle large amounts of money, gifts of interests in a limited liability company managed by a responsible family member could be a substitute for monetary gifts. With the lapse of the GST, individuals holding assets in non-exempt GST trusts should consider making distributions to the trust creator’s grandchildren. These distributions will be subject to GST tax in 2011 and later years. The non-exempt GST trust distributions are not subject to the gift tax and will avoid GST tax in 2010. In addition, by distributing the assets this year the assets will not be subject to the GST tax upon the death of the grandchild’s parent. Although it is unlikely, Congress may enact a retroactive estate and/or GST tax for 2010. In light of the heated debates over the extension or modification of the Bush income tax cuts, there exists a very remote chance that Congress would take such action. Because of the continued uncertainty, individuals should take precaution to properly structure and document any gifts or distributions made before year-end.